Although she has worked in the entertainment industry in her capacity as an actress, Kayte Walsh is best recognized as the fourth wife of Kelsey Grammer – American legendary actor who is well known for his role in Fraiser. Before the advent of Kelsey in her life, Kayte was on the payroll of Virgin Atlantic Airways as a flight attendant and thanks to her work majorly scheduled with the first class flight to and fro the United States, she was exposed to top celebrities like her spouse. Her acting debut was made on the set of Boss – the Starz drama series where her husband portrayed the character of Mayor Tom Kane of Chicago in 2011. She became known for her work on Relationshit (2011) as well as Tabatha’s Salon Takeover (2008). Kayte Walsh has made appearances as herself in television shows like Entertainment Tonight and The Tonight Show Starring Jimmy Fallon. It was on the set of an episode of the OWN show, Oprah’s Next Chapter that she spoke on the break-up of her spouse’s 13-year-old marriage to this wife number three Camille Donatacci. Kayte appeared on the program alongside Kelsey in August 2012 to discuss her part in the break-up with Oprah. Her exact date of birth has never been published but her place of birth is in Bristol England. She is the oldest daughter and the second child among the children of Alan Walsh – an ex-English football player who played majorly for Bristol City and Darlington with a very good career statistics. Kayte’s mum is called Susan Walsh. Kayte grew up alongside three other siblings – Sophie Walsh, Phil Walsh who became a footballer like their dad and a third sibling whose identity is not known. There is no information on her educational qualifications but during her formative years, the Walsh family was always on the move because of her dad’s career. According to Kayte, when she was three years old, the family relocated to Clevedon after her dad signed a contract with Bristol. They later moved over to Portishead very close to Bristol. Many years later, when she was eight, her dad signed a two-year contract to play in Istanbul but later settled down as a coach in Bristol City. Kayte Walsh has been married to Kelsey Grammer since the 25th of February 2011. Their union has endured for eight years and is blessed with three kids namely; Kelsey Gabriel Elias Grammer (July 22, 2014), Faith Evangeline Elisa Grammer (July 13, 2012) and Auden James Ellis Grammer (November 14, 2016). 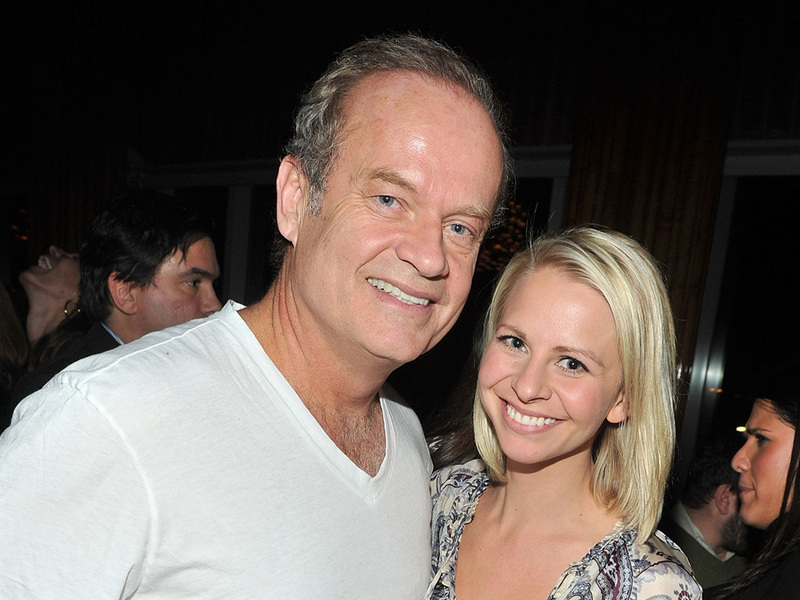 Her spouse Kelsey Grammer has been involved in three marriages before their nuptials; notable among his ex-wives is Spencer Grammer – a celebrated actress. Kayte’s, marriage with Kelsey raised a lot of eyebrows because of their age gap which exceeds 25 years. According to the records, Kayte’s dad is even younger than Kelsey by two years. One interesting fact about their union is that the couple has had repeated wedding ceremonies since their first at NYC Plaza Hotel in 2011. According to Kayte, Kelsey has to marry her severally at least five times since he has been married many times in the past. She was employed in a bar in France before she left for Virgin Atlantic airline as a flight attendant. Kelsey gives the credit to Kayte for overcoming his addiction to alcohol and hard drugs. He described his wife as that lovely young woman who changed his heart and lit up his whole world which was hardened. He confessed that they are just good together and he feels alive and young. Because Kelsey’s third wife Camille was a leading character on the set of The Real Housewives of Beverly Hills, the scandal about the affair became a staple on the show. Camille was constantly seen complaining of how her whole world has shattered as well as comparing her small apartment to Kayte’ s $6.5 million home bought by Kelsey. According to Kayte Walsh, she was not proud of the way she started with Kelsey and being named as the other woman in the divorce battle between Kelsey and his third wife Camille Donatacci put her under the spotlight for the wrong reason. In the past, she did some jobs as a camera assistant and a producer on a couple of shows which include Tabatha’s Salon Takeover as well as The ½ Hour News Hour.